At O’Briens Garage, our team of qualified technicians together with the latest diagnostic equipment are available to cater for all your servicing needs. We offer a full service on all car models and light commercials. Any additional work required will be noted and agreed to with the customer before being carried out. Our garage is an Authorised Service & Repair Centre for Mazda. We also offer a comprehensive Pre-NCT Check and in the case where your car has already failed its NCT, bring along the report and we will ensure that you sail through the re-test. We offer a drop-off and collection service in the local area and can also provide you with a courtesy car whilst your car is with us. Contact Pauline or Kyle on – 021-4631904 to book in your vehicle at a time suitable to you or book online. 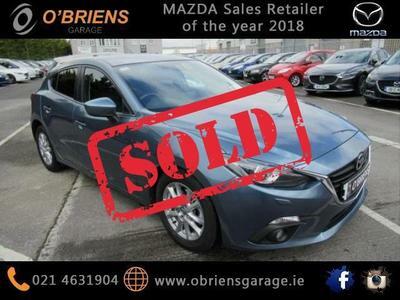 Contact Dave O’Brien on – 021-4631904 for a full range of Mazda genuine parts and accessories. Parts for all other makes are available within 24 hours.